Schaeffler provides precision bearings and invaluable technical support to 10 UK Formula Student teams. SUTTON COLDFIELD, UK, April 04, 2019. UK Formula Student teams have expressed their gratitude to Schaeffler UK for the company’s ongoing support in supplying precision bearings for their racing cars backed up by invaluable technical support. In 2019, Schaeffler UK has again supplied bearings and technical support to 10 UK Formula Student teams, including Sheffield University, Sheffield Hallam University, Bath University (Team Bath Racing and Team Bath Racing Electric), University of Birmingham (UBR and UBR Electric), Southampton University, University of Strathclyde, University of Portsmouth, and University of Loughborough. Schaeffler is fully committed to helping attract young people into engineering. This is why the company has supported Formula Student teams in the UK since 1998. Over the years, Schaeffler engineers have provided advice, guidance and technical support to the student teams. 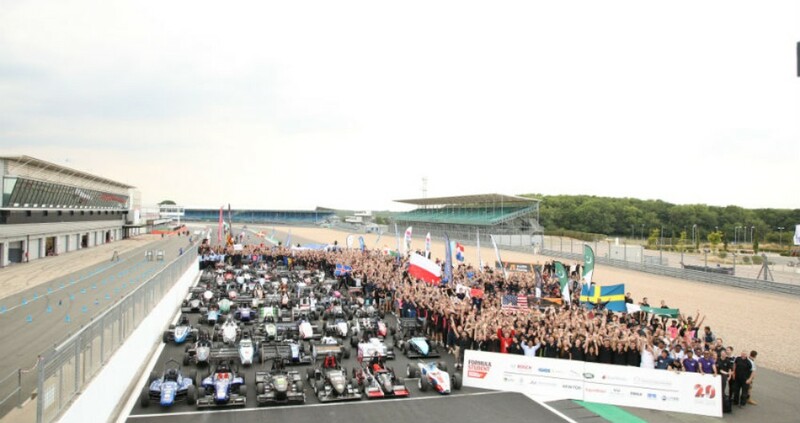 On 17-21 July 2019, more than 100 teams from around the world will gather at Silverstone for the Formula Student 2019 competition. Run by the Institution of Mechanical Engineers (IMechE) in partnership with various industrial sponsor companies, Formula Student is Europe’s biggest educational motorsport event and celebrated its 20th Anniversary in 2018. The competition promotes careers and excellence in engineering, by challenging university students to design, build, develop, market and compete as a team with a small, single seater racing car. The competition comprises challenges and events (including an all-electric racing car class) with a separate amount of points allocated for each. These include, among others, tests to assess cars’ fuel economy, acceleration, endurance, as well as the design and business case prepared by each of the teams. The bearings supplied by Schaeffler to the UK Formula Student teams are predominantly used in the wheel hubs and suspension systems of the racing cars, as well as, in some cases, the steering controls. In addition, Schaeffler UK supports the teams with technical advice and knowledge transfer. “Knowing we have the backing of Schaeffler as a sponsor who supports via in-kind parts and advice gives us the confidence to design within boundaries that aren’t limited by quality or uncertainty of bearing parts,” he added.